The StyleQuarter Giveaway Winner! | misskatv.com: The StyleQuarter Giveaway Winner! I know most of you are excited for the result of my previous giveaway. I though of using classtools.net as my randomiser rather than the boring random.org. So I tried to film the result so you can feel the excitement too! Haha! Again, CONGRATULATIONS to both of you! It'll end on November 23, 2011. Congrats to both of the winners! Congrats! but hos the 2nd winner? I can not see any of the names. Lagi ko lng nakikita name ko pero hindi ako nanalo. LOL! Pero ok lng . sasali prin ako. try and try! Congrats to the winners! I would like to win soooooo much!!! 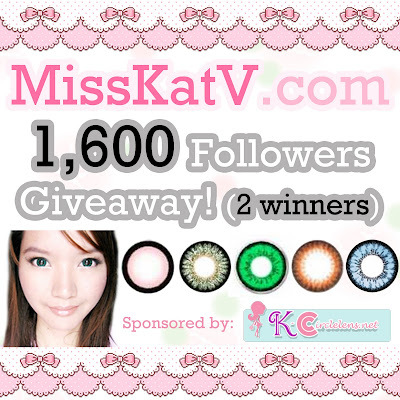 I love colorful lenses and I never won so I hope so much!!!! !